Like your hair, a good cut is revitalising. Correct lawn mowing promotes growth whilst also leaves your lawn looking great. Did you know that you can mow your lawn better than an expert without spending money? All you only need is a guide, and you will be relaxing on a pristine lawn in no time. It's essential to mow correctly as certain techniques can either hurt or help your lawn depending on how you do it. Poor mowing has a negative impact on your garden, and thus it is recommendable to observe a few things. The best time to mow your lawn is during the evening. Also, note that mowing during the day when the temperatures are so high stresses your lawn as well as the mower. Unless it rains during the day, the lawn is usually dry in the evening. Mowing when the sun is hot may make your lawn to dry because of the intense heat. Mowing in the afternoon gives your lawn an ample time for recovery before the next day's heat. Don't mow your lawn after rains or in the morning because of the morning dew or fog. This may lead to uneven trim, and wet clippings may clog your mower, this leads to your mower dumping clumps of grass on your lawn. If you do not rake it up, they smother the growing grass resulting in brown spots. Sharpen your mower blades whenever there is tear for an excellent cut. Dull blades may tear up the grass which causes ragged brown edges. Continuous use of dull mower blade makes your grass weaker over some time and hence more susceptible to insect damage, diseases, and other environmental stresses like drought and heat. Sharpening the mower is helpful in many ways as it makes cleaner cuts, the mower starts easier than when blunt, and you can slice your clippings even without bogging down your mower blades. Do not forget to wash your mower after every use to prevent blockages within the mower. It is necessary to make a sketch of your lawn on a piece of paper and divide it into squares or rectangles. This is helpful as it gives you an idea of how to cut it. Mow each section either in a spiral or row pattern. Some areas that are not rectangular or square will be left while others will have obstacles like trees. Mow twice the patches of the uncut grass for a sparkling lawn. Grass clippings break down easily and become beneficial nutrients to the soil. Mow frequently to ensure you do not remove too much grass at once and the clippings are minimal. Removing a lot of the grass blade shocks the grass leaving piles of long clippings on your lawn that do not break down quickly. You can also do bag clipping and toss them in the garden or even compost them. Only do this if you have not used lawn weed control products. It is not advisable to do lawn mowing in the same direction all the times. Lawn mowing in the same direction is destructive as it compacts the soil into actual ruts. Always know that the grass grows and lean in the direction you mow it. 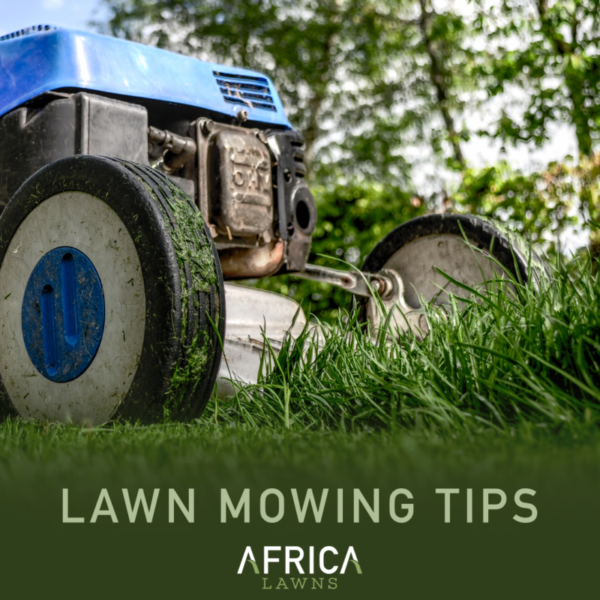 Lawn mowing is different directions each time helps the grass to grow more upright and avoid developing ruts in the soil where in some instances are quite visible. Lawn mowing in a rush only wastes your lawn. Especially in the cases of wet or tall grass which resists a swift cut. This doesn't mean you rush your mowing during the summer time. Rushing results in uneven shearing and leaves clumps of poorly mulched clippings. A beautiful lawn is the goal, and preparation and care are a must. Summer lawn mowing is the best, but at some time, it is vital to ensure you have adequate water source to prevent your lawn from the drought effects. Watering is a must for the lawn to remain green and attractive throughout the summer season. How and when to mow your grass mostly depend on the water and fertilizer availability, season, and the type of grass. For instance, summer is the favourable time to mow the warm-season grasses. Spring is the appropriate season for mowing cool-season grasses. And please remain conscious of your local municipality's water restrictions and remain Water Wise at all times. Visit our website or contact Africa Lawns on (+27) 13 665 9200 and let's get your lawn growing.